#17 FLORIDA STATE 62, #6 DUKE 59 – (AP) Florida State lost a 10-point lead in the second half before recovering to beat Duke on Saturday, sending the Seminoles to only the second ACC tournament championship game in the program's history. Michael Snaer scored 16 points, including a 3-pointer with 3:27 remaining that gave the Seminoles the lead for good. But No. 17 Florida State (23-9) had to survive some last minute scares - including missed 3-point attempts by Duke's Austin Rivers and Seth Curry in the final six seconds. 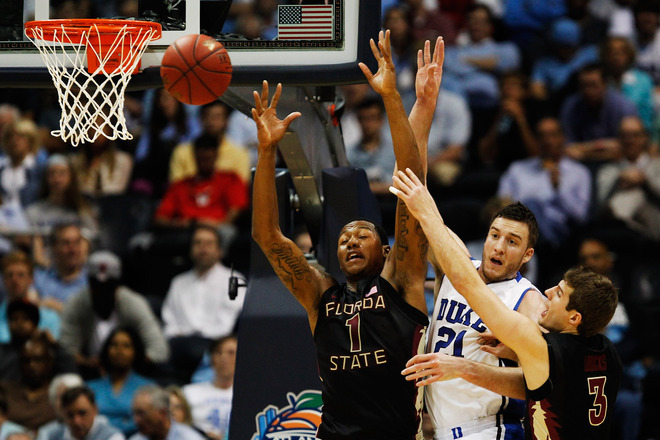 The second-seeded Seminoles ended a run of three straight ACC tournament championships for Duke (27-6). Rivers led the Blue Devils with 19 points. Curry had 13. The Seminoles' only other appearance in the championship game came in 2009, also in Atlanta, when it lost to Duke. 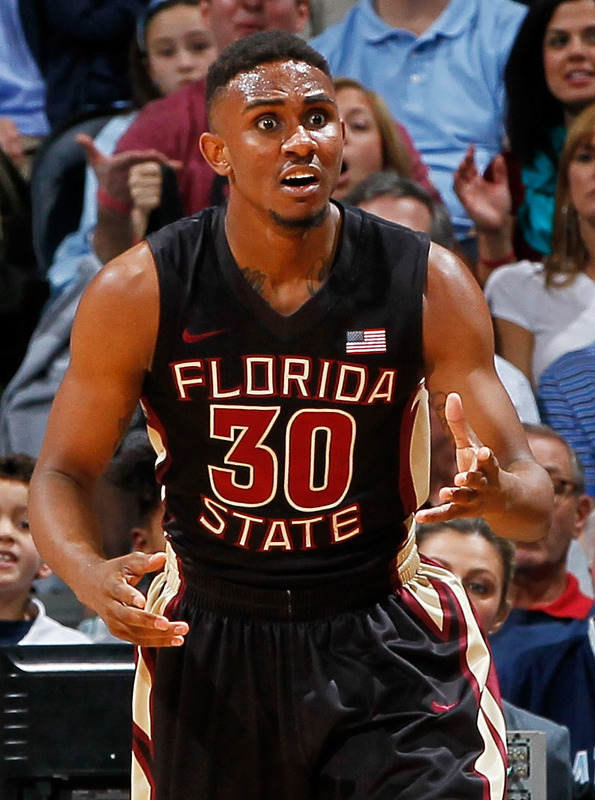 Florida State led 58-57 when it lost Ian Miller, who was called for a charge, his fifth foul. Duke's Mason Plumlee also fouled out less than a minute later, and Florida State's Luke Loucks made two free throws to push the lead to three points. A layup by Rivers cut the lead to one point with 42 seconds remaining. Loucks then dribbled the shot clock down before sinking a long jumper from the left wing. Following a review of the replay, officials ruled the shot was a 2-pointer, pushing the lead to three points with 11.9 seconds remaining. Rivers, guarded closely by Snaer, missed a long 3-pointer with six seconds remaining. Following a turnover, a last-second attempt by Curry from just past midcourt banged off the rim, triggering the Seminoles' celebration. Mistakes helped Duke fall behind early. The Blue Devils, who average only 12 turnovers per game, gave the ball away 14 times in the first 20 minutes, leading to 17 points for Florida State. 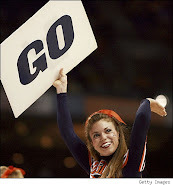 Duke cleaned up its play, committing only two turnovers in the second half to finish with 16. The Seminoles quickly added to their 33-31 halftime lead, scoring the first six points of the second half. Snaer penetrated the lane and lofted a short jumper to push the lead to 10 points for the first time at 43-33. Duke coach Mike Krzyzewski called his second timeout of the half and the Blue Devils responded with five straight points. Suddenly the Seminoles showed signs of faltering. A missed jam by Xavier Gibson, a steal but missed layup by Deividas Dulkys and a shot-clock violation by Dulkys helped Duke pull to within two points at 47-45 following a Miles Plumlee basket. An officials review confirmed a long jumper by Curry was a 3-pointer, cutting the Seminoles' lead to 51-50. A tip-in by Miles Plumlee of a missed jumper by Curry again cut the lead to one at 53-52 with 5:39 remaining. The Blue Devils took their first lead of the half less than a minute later on Curry's two free throws.